Two nights ago, at much too late an hour, I caught the first half of Out of Africa before falling asleep. And a few days before that, I turned it on somewhere in the middle. So, in my own backwards way, I managed to watch the whole movie in the last week, along with bits and pieces of it at other times over several days. (I know, I should just rent it, right? Heck, I should buy it.) Over the years, I must have watched it more than 20 times. Still counting. I’m sure I’m in good company when I say that I love that movie beyond reason. It’s three hours of yearning and passion and hardship and loss. My kind of film. Ladies, was there ever a better case made for lather, rinse, repeat? Could I also live in that house? Maybe there will be a replica of it at Women’s Colony. I call dibs on it, right here, right now. I might share, if you’re nice to me. And I’ll let you visit on Thursdays if you look like Robert Redford. Or are Robert Redford. In one of my favorite scenes, Denys asks Karen for a story. She asks him to provide the first line, and he does. From there and on the spot, she invents a story, captivating the two men in her company as the tale unspools. Whenever I watch that scene, I wish for her ease and confidence in her gift for stories. 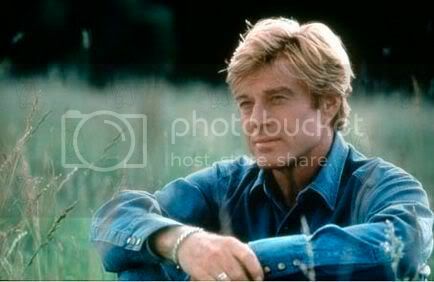 (I also wish for Robert Redford to look at me, just once, like that.) I’ve always thought that Denys fell in love with Karen that night. And how could he not? I was just thinking the other day when I saw this was on that I’d never seen it. Thanks for the reminder that I gotta put it on my netflix list! You can totally have that house. At the Colony, all dreams come true. However, sadly, Robert will only be allowed on Sundays and Thursdays. For reasons I can’t quite describe, that line was the central point of the film for me. I remember the first time I saw that scene. I thought, “Yeah, I want to be one of those things in life that comes at a price.” What woman doesn’t? We want to know that our great love would give up anything for us, especially his freedom. D / Mommas last blog post..Type A or Not Type A? OOOOOOOO. I could live that way. The house, the clothes, the kiss…. PS–it totally looks like you. I own this movie. I’ve seen it probably 30+ times. I have countless favorite scenes. When her hand shakes over his grave, and she simply cannot drop the dirt upon it? Slays me. You and Redford make a smashing couple. Get ready to gasp. I have never seen this movie. Are you horrified? I read the book. (Now that I think of it, if I can get through that book, why can’t I get though Portrait of a Lady? I’ve thought about watching the movie because my husband and I love to watch movies. But he has seen this one, and perfect man that he is, he hates it. Maybe when the girls are older it can be a weekend thing for us? 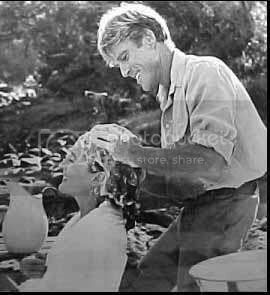 And of course I believe it’s you with Robert Redford! Why wouldn’t it be?! I need to watch this movie again. And yes, that is you. Robert Redford was cute when he was little, wasn’t he? Not so much now, but then I’ve aged too. He is a handsome man. And her wardrobe? I also coveted it. But totally impractical. melissas last blog post..Screw Iowa! I humbly submit the hair-washing scene from the English Patient as, not a *better* case for lather, rinse, repeat, but a different case. I love me some Redford, but Naveen Andrews with that lo-o-o-o-ng hair? My, my. May watch both movies this weekend. Have you heard the story of how Meryl Streep had a bug crawling in her clothes in one scene? Can’t remember which one right now, but she totally kept a straight face and kept in character until they were done filming, then she screamed and jumped around. Steel. I am likely the only one who hasnt seen Out of Africa AND who adored The English Patient …. a quick funny .. 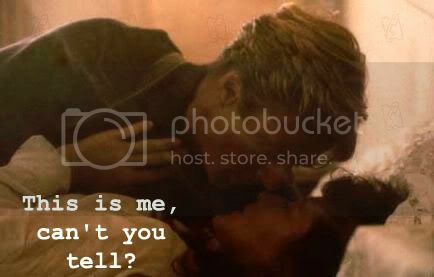 The English Patient is ending and there’s a plane crash … Husband turns to me and says WTF? How did he get on that plane ….? He says to me: THAT was like 4 days ago who remembers! I loved that film too! I adore that movie as well. And the shampooing scene…one of the SEXIEST in cinema. You always make me smile, Jennifer. I’m sure Mr H looks better than Robert Redford – who is (as we Aussies say) is “fairly easy on the eye”. I’ve never seen this movie. Never really been a Robert Redford fan. Though I did like The Natural. But since you like it so much . . . I told my girls (the twins) that they need to watch this movie – one of the best movies of ALL TIME – this summer. They love when I suggest moives and often they fall in love with the movie too. They are going to love this movie!! I haven’t seen it in a while. Kellans last blog post..Thank You! I totally don’t want to live on the savannah (the subtropics are a big enough adventure; the last thing I need are elephants) but I will ABSOLUTELY take the wardrobe and the Robert Redford circa Denys. With hair washing. I’ve got a hottie but he’s not big on the washing my hair or massaging my feet. This will be in my profile for my next husband. 😉 Or I’ll just hire a masseuse LOL. 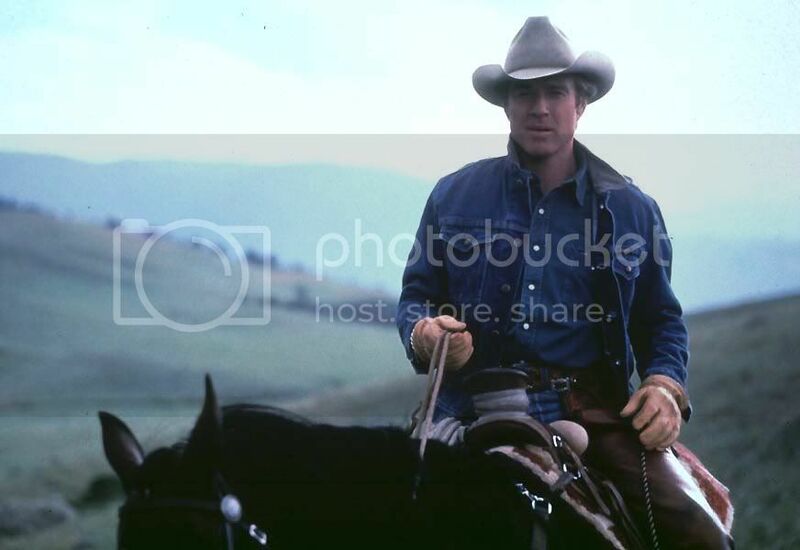 You and Redford would be divine together. I have movies that I’ve watch a billion times too… but alas they are a bit less sophisticated. Umm… “Picture Perfect” with Jennifer Aniston. Yeah, told you. the mama bird diariess last blog post..is my kid weird? That’s a great scene…great dialog. I love her strength even though she’s dying inside. You’ve inspired me to rent this one again. BTW, have you read West with the Night by Beryl Markham? I think I’m going to read it again and soon. I need to rent Out of Africa and see it again. Yes, our reactions to movies change as we grow older. At least our reactions to BIG, excellent movies like this. Maybe that’s a litmus test of a movie’s greatness. Robert Redford. An acquaintance of mine ran face-to-face with him while walking on the Plaza in Santa Fe. One of those life-changing moments. I’ll have to put this on the “To watch” list. Sound like a winner. 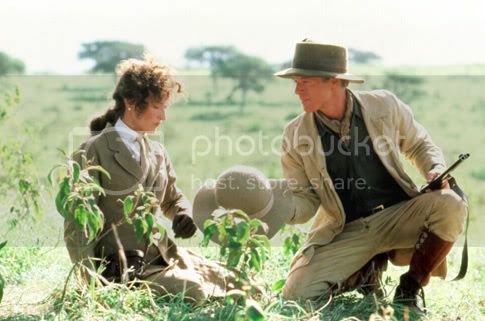 I’ve fallen totally in love with this movie and with the characters – I’ve been reading the Baroness’s own book, Out of Africa, which is LOADED with so much more than the movie had in it (always the case). The book revolves around the life on the farm – there is no mention of she and her husband’s romance – or not romance – or of the romance between Mr. Finch-Hatton – so watch the movie and then read the book – she was an absolutely remarkable woman – to have lived in Africa so far removed from civilization at that time – incredible. She probably would have made a great U.S. President – so unlucky in love, but so wise in life – her relationships with her native servants and the local tribes people are so rich and colorful – makes you want to throw all caution to the wind and buy a farm in Africa! Of course as Robert Redford says in the film “it won’t be the same”. All of the people portrayed in the film were just bigger than life in real life. Interestingly, the “Felicity” character played in the movie was supposedly Beryl Markham – who had an affair with Denys Finch Hatton towards the end of the winding down of the affair between he and Karen. We led such ho hum lives, don’t we? 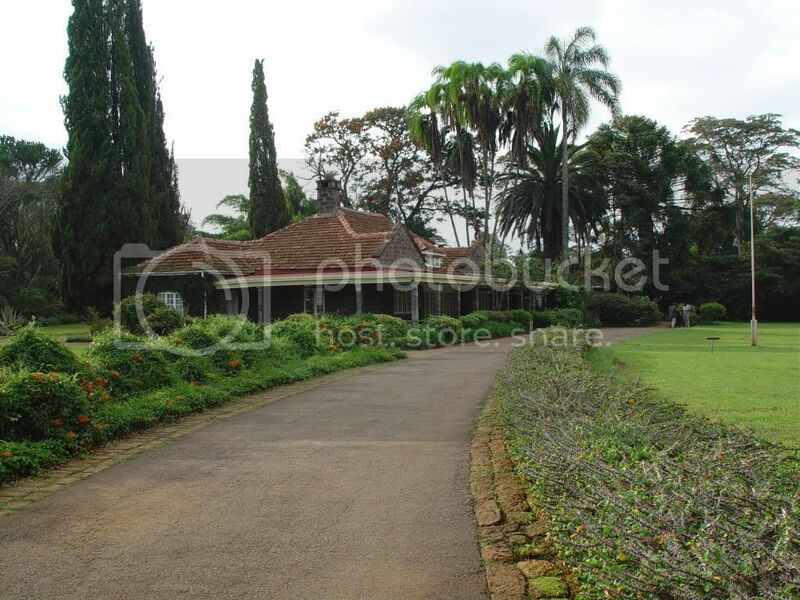 One may appear to lead a “ho-hum” life,but it would seem that the Karen Blixen story and stories has struck a chord with many. What part of ourselves prevents us from creating for ourselves, the fantasy of words. Except for the fantasy of words, the knowledge of Karen Blixen would have been denied to us all.